Potter Hall was constructed in 1889 to serve Potter College for Young Ladies. It provided space for classrooms, library, dining hall, parlor and dormitory rooms for the students. 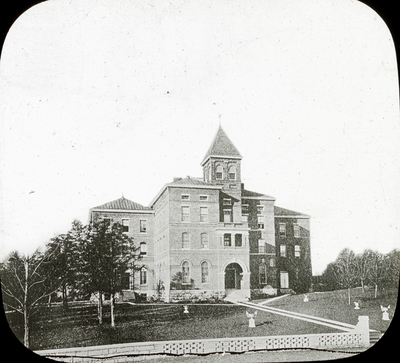 When WKU purchased Potter College in 1909 the building became known as Recitation Hall and served the campus as a classroom building until it was torn down in 1936 to make way for Cherry Hall.